New kitchen now installed and looking splendid. We hope you enjoy the new appliances and stream-lined look. Our wonderful self-catering cottage in Stein on Skye; Henderson House which sleeps up to four people. 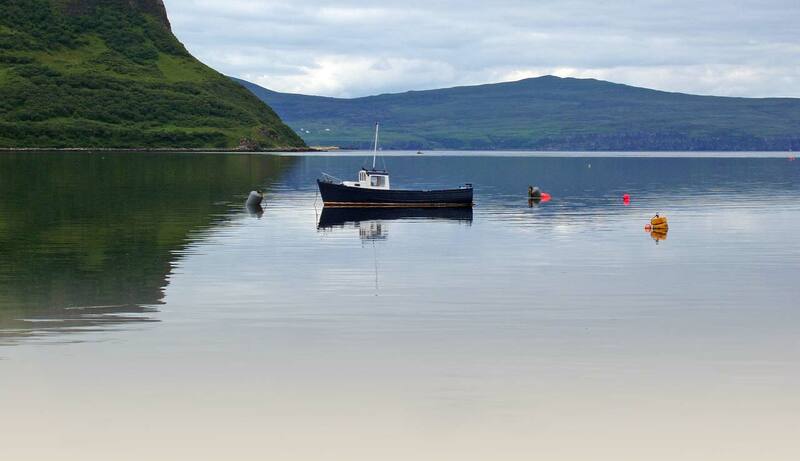 This is a lovingly restored fishermens' cottage in the historic village of Stein, Loch Bay. It is located on the magical Waternish peninsula right by the sea. Our self-catering cottage accommodation is ideal for couples or families who want a beautiful holiday in a tiny hamlet on Skye in Scotland.